I have such a long list of potential topics for my green/budget/healthy Fridays that it's hard sometimes to choose one. So, here goes: I'm going to talk about tax-free weekend, which here in Texas was two weeks ago. Now that's a happy sign. Why go tax-free? A few reasons. One, it's a boon to local retailers, even though Chad and I were dumb and totally missed the boat on this one--turns out a shop we thought was local isn't. I've heard (but can't find a source just now) that for a lot of local businesses, tax-free weekend is second only to the day after Thanksgiving for sales. It gives them a nice boost going into the pre-Christmas buildup. Second, it's good for low-income people (hey, that's us!). I've heard many of my more financially stable friends say again and again that they would rather have teeth extracted than set foot out their door on tax-free weekend. And I'm happy to hear that, because it's one fewer family between me and the sales. If those for whom saving $8.25 on every $100 spent is not worth it would just stay home, then the deals and space in the store are available for those of us who count every dollar in our budget and don't have much wiggle room. Especially low-income families with multiple children in school. My parents would have done a praise-the-Lord dance if we had had a tax-free weekend when I was growing up. Third, many stores run sales to go with tax-free weekend, in order to entice more shoppers in. This is where cheapskates really get lucky. 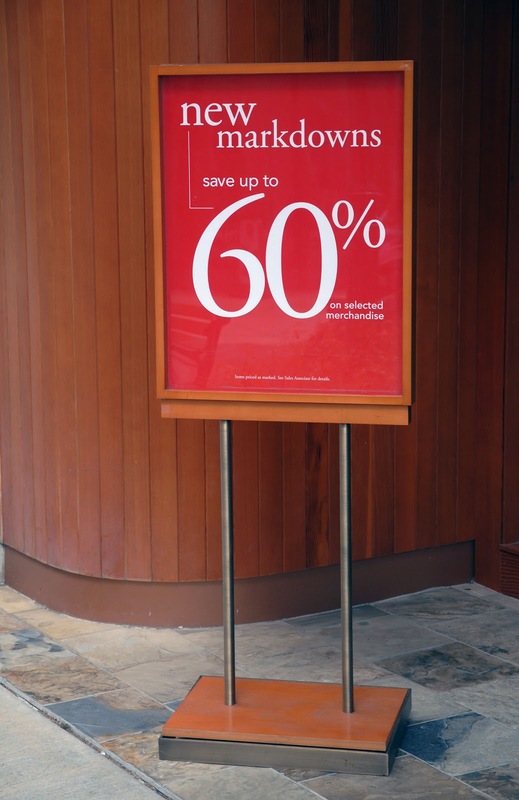 The combination of markdowns, clearance sales, loss leaders, and no sales tax makes this a great weekend to hit the stores. Chad and I both got new shoes and quite a haul of new clothes (including new-to-us clothes; we visited the thrift stores first), all of which we needed but had been putting off buying because they're all expensive. 1. Shop local retailers. This also helps your local economy. 2. Plan your shopping in clusters so you can park once for multiple stores. This gets some stress-relieving walking in (unless you have to walk across a busy parking lot; that might amp up the stress), burns a few calories, and does NOT burn any extra fuel in the car. 3. Go to thrift stores. Way too many perfectly good clothes in the US end up in landfills. Save yourself some money and help ease our collective waste cycle by hitting thrift stores for t-shirts, jeans, or dress clothes. 4. Do you need the hangers your clothes came on? If you don't, give them back to the cashier for re-use. Or take them to a thrift store once you get them all collected at home. 5. Take your own bags. Yes, those reusable bags you take grocery shopping work perfectly well for clothes and school supplies, too. Throw them into the washing machine the day before heading out if you're worried that they aren't clean enough. 6. Don't just throw the tags into the rubbish without thinking. Are they paper or cardstock? If so, toss them into your paper recycling or stick them in your compost. See? There are always ways to wrangle some lower-waste options out of your daily life. Happy shopping! Does your community have a tax-free weekend? Do you take advantage of it? From the Pictish name Drustan, which is from the name Drust, which might be from the Celtic word drest, meaning riot. So I suppose if you name you name your baby Tristan, you have only yourself to blame when he starts racing around the house leaving disaster in his wake. Currently the 87th most popular boy name in the US, down from a peak of 81st in 2008. Across the world, it is most popular in British Columbia, where Tristan is the 35th most popular name for boys. For girls, Tristan made it all the way up to the 590th most popular name in the US in 1996, but is not currently in the top 1000. Famous Tristans: I ran across a few whilst scouring the internet, but none that I'd ever heard of. Am I missing someone? 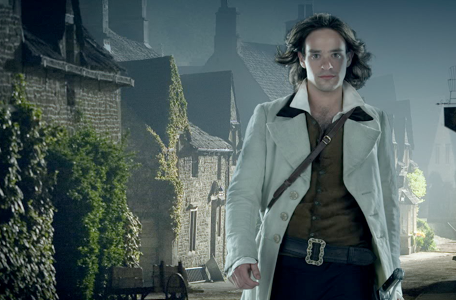 Fictional Tristans: "The" Tristan from Tristan and Isolde, Tristan Thorn (Stardust). My Tristans: None, that I know of. For how much I like this name, I don't seem to run across it much! Do you know any Tristans? Did you like the movie Stardust? Way back in May, I told you about my adventures in walking to my polling place. Well, we had a run-off election in July, and this time I decided to take my bicycle instead and take my chances with a road that the Austin Bike Map has clearly marked as being a barrier to cyclists; that is, dangerous enough that it should be avoided. Unfortunately, I didn't have much of a choice. My husband and I do not own a car, so in order to vote we must walk, ride a bike, or take public transportation. On May 31st, my husband chose to walk to the polling place while I took public transportation part of the way with the intention of cycling or walking the rest of the way. The nearest bus stop to the YMCA is 1/2 mile away on MLK Blvd, east of 183. I got off and rode my bike to the intersection with 183, where I had to get off the bike and start walking to avoid impeding traffic, getting run over by an inattentive motorist, or both. Unfortunately, the walk from MLK to E 51st is along 183, which has no sidewalks, but does have a sharply banked meadow of thigh-high (on me) weeds that I had to wade through while pushing my bicycle. I was somewhat concerned for my safety. My husband chose to walk from our apartment, which is just over a mile in the opposite direction that I came from. The grass is mowed in that direction, so he didn't walk through weeds, but he was followed by a homeless man who wanted to know why my husband was walking around in "his" territory. Neither of us suffered unduly from our experience, but I can see why having to walk so far in not-so-pleasant circumstances might detract people from voting. Today, I chose instead to ride my bike along 51st Street, headed east from Springdale road. I had elected not to do this in May because east 51st is marked on the Austin Bike Map as being particularly hazardous for cyclists. There are patches of sidewalk on the south side of the road, but nothing going the whole way, so I had to ride in the street. I was genuinely concerned that a driver might be blinded by the morning sun and not see me until it was too late. Also, high weeds cover the side of the road in areas without a sidewalk, on both sides of the road, so walking would have been an unpleasant alternative once again. Going back to Springdale road, 51st street is essentially one long blind curve. I was worried, again, that drivers might not be able to see me in time to react if they came around the curve and found a cyclist in their lane. But again, what could I do? No bus runs on this road. There is no shoulder and no sidewalk. And so, at one point a group of cars came around the curve and the driver in my lane had to get over enough to pass me with inches to spare. He or she was not at fault-- this road was not designed for cycling. However, the encounter gave me quite a fright, as I'm sure you can imagine, and once I was safely back to Springdale road I stopped to compose myself before continuing my ride to work. Having now tried all three directions, I see four options for people without cars: 1) Long walk through tall weeds, near high-speed traffic, coming from the south on 183; 2) Long walk near a homeless camp, near high speed-traffic, coming from the north on 183; 3) Long walk with mixed sidewalk and tall weeds, but with a bit more space to get away from the traffic, coming from the west on E 51st street; or 4) Short bike ride on a dangerous street that is not designed for bicycles, coming from the west on E 51st street. The election officials assured me that this YMCA has been a polling place for years. That is not encouraging news. I wonder how many people in the precinct have been discouraged from voting as a result? Therefore, I ask that before November and any subsequent elections, Travis county consider its options in this area and choose a polling place that is ideally accessible to people using transit, but is at least accessible by foot or on a bicycle. What do you think? Am I being unreasonable to ask for a different polling place? Should I be more blunt with the election officials? What should my next step be? I was just not ready for this book, no matter what the inventors of the 8th grade curriculum at Greenfield Junior High School thought. I couldn't handle it, and it sent me into a depression that lasted for weeks, during which I refused to tell anyone-- parents, teachers, guidance counselors, etc.-- what was going on. They tried to drag it out of me, but I dug in and wouldn't talk. Whenever I think of 8th grade, this is what I remember first. And there's no way I'd go back and reread it, not even to exorcise any demons that may still be lurking. Now, I have seen a bit of the movie version with Rob Lowe, but that was mostly for the eye candy, and I only watched about 10 minutes of it. 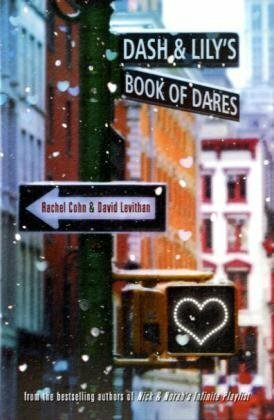 Just to be clear: I loved this book. I still love it. 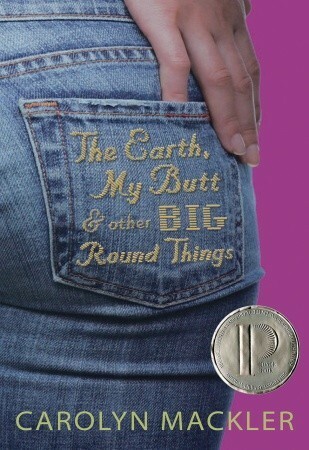 But I wasn't ready to read it in the fifth grade. One of the fundamental truths of being an early reader in a small school is that you'll outgrow the school library in a hurry. That's what happened to me. I had read everything that I found interesting, and even a few books that I didn't like at all, but by the end of fourth grade, I was left with only the massive thick books like Little Women. The librarian wouldn't let me check it out because it was reserved for 5th & 6th graders. 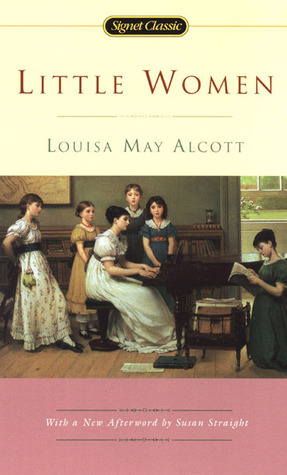 So, I checked out something else that day, and over the summer I read all of Louisa Alcott's books available in the public library, except Little Women, because I took what the librarian said to heart and decided to read Alcott's shorter books first. Once school started again, I checked out Little Women, because as a 5th grader I was now allowed to check out thick books. I zoomed through the first 3/4 of it, and then stalled close to the end. For some reason, the bits about Amy in Europe and Jo in New York were less interesting to me, and I struggled with them. But really, the librarian had been right and I didn't yet have the attention span to read a book that long. 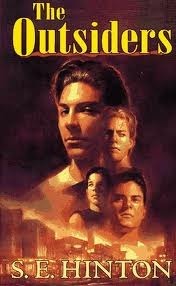 I came back to it a few years later (right after I was force-fed The Outsiders, as it happens) and read the whole thing straight through. I was forced to read The Lion, The Witch, and the Wardrobe in 6th grade. I didn't like it, mostly because I was reading it under duress. (Are you seeing a theme here? My teachers almost made me hate reading, really. One teacher succeeded in turning my brother off reading forever.) I ignored the rest of the Chronicles of Narnia for a while, then came back to them as a freshman in high school and loved the first four. The Voyage of the Dawn Treader I liked a teeny tiny bit less, and I didn't like The Silver Chair at all. Why? Because I had grown rather fond of Peter, Susan, Edmund, and Lucy, and wasn't excited about the cast change. I put it away and finally came back to it and The Last Battle when I was a junior or senior. 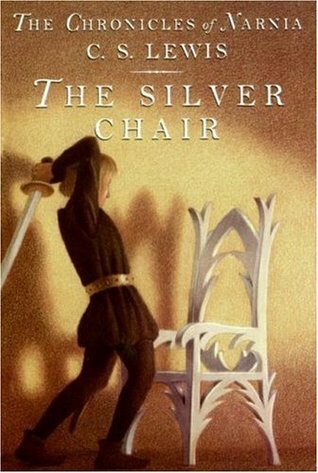 The series is among my favourites now, but The Silver Chair remains my least favourite of them. Did you read any books before you were ready for them? If you're a teacher, how do you balance the need to teach books with the hope that kids will want to read for their own sake? Do you have any good tips on how to know when a child is ready for a particular book? It's been an exciting weekend in Austin for bike-related stuff. And I was right in the middle of at least some of it. This weekend was also the Hotter'N Hell 100, a massive bike ride in Wichita Falls, TX, that draws thousands of cyclists from all over the country. When my employer asked if Chad and I would like to go (I work for BikeTexas part-time now, instead of merely volunteering), we decided that we didn't. Neither of us is that keen on long car trips or huge crowds, plus it was my final weekend before starting grad school (which starts TODAY, btw. Yikes! ), and I wanted to relax and enjoy it, not be running around working. Plus, BikeTexas didn't need my help; ten people from the office went to run the booth and whatnot. So I stayed home. Chad was my official photographer! Bike Program Manager Annick Beaudet. However. On Friday the local transit system opened a new bike shelter at one of the train stations, and the city had a ribbon-cutting ceremony for a new set of cycletracks (separated bike lanes). These events happened at 9:15 and 10:30, respectively. As the lone person available to represent BikeTexas, I was duly selected and sent. It was really fun. I had one minute to speak at the bike shelter opening, of which I took about 45 seconds, because I talk fast. I got up to the podium, and the microphone was pointed waaaaay up, because the person speaking before me is really tall. I didn't bother trying to adjust; I just stood on my tiptoes and talked loudly so the mic would pick me up. The CEO of the transit system had to step over and lower the microphone for me. I don't always represent BikeTexas, but when I do, I'm completely inept with the technology. Anyway, we (Chad and I) hung around schmoozing with the local dignitaries and CapMetro officials until the southbound train came clanging down the track and pretty much everyone there had to hop aboard for our next event. Yep, it was a lot of the same people at both things. We got the train downtown, and most of the city officials and other local bicycle advocacy people took off on their bicycles to get to the ribbon cutting. But, Chad is bicycle-free, so we walked to the nearest bus and took it instead. We got there just a few minutes after the city and other advocacy people, so transit turned out to be a pretty good deal. People spoke (not me this time! ), they cut the ribbon, and we all jumped on our bikes to try out the new cycletrack. It works! So! I spoke in public for the first time in ages, nobody fell down (except Chad, getting on one of the buses), and we're only a little bit sunburnt. Great day. I read a lot of YA because, well, it's fun. Sometimes I feel like I got to an eighth grade reading level and then just stopped progressing, but hey, so did most of America. Anyway! 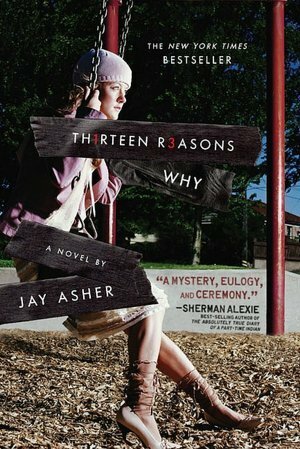 I've read quite a lot of books lately that I wish I had been able to read as a teen. (They were all published after I was in my twenties.) The messages I've seen of the strength and courage possible in teenage girls would have been good to know when I was that age and I was relying on what I knew of Laura Ingalls and Beezus Quimby. Both good role models, in their own way, but neither of them really fit my personality. First of all, these books make me wish I had three best friends. Failing that, I wish I had a tailsman that gave me such a feeling of power. 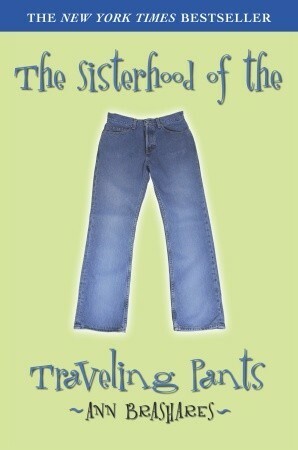 Because of course, the girls don't need the pants to find their confidence, develop life skills, and face the challenges of the teenage years. However, the pants help them all bridge the gaps between what they know they can do and the thing they'd like to be able to do. Over and over and over. Plus, it's so cool to see them learn to deal with mistakes and grow throughout the series. I've heard the last one is not as good, which makes me sad, but I've only read the first three. I can tell you that I'm putting off #4 because I don't want to be done with the series. A bunch of people find out, a little too late, what impact their actions have on other people. I got a sense of urgency from this book to be aware of other people. That would have been good to know in my self-absorbed teen years. It's rare that I watch a movie before I read the book, although having done so with The Princess Diaries and loved the movies, only to find out that the books are much much much better, I'm wondering if I should rethink my policy. Mia, as we all know from the movies, is awkward and unsure. The first four books cover most of the first year after she learns of her royal heritage (unless I'm really bad at counting, which is always possible), and it's remarkable how much she learns about herself, her friends, and what she really thinks about things in such a short time. I would never wish that kind of life upheaval upon myself, but these books would have been great when navigating my own rocky freshman year of high school. Okay, I realise there's a theme here. Girl learns things about herself really fast and has to adjust her worldview, behaviour, or both. But you know what? It would have been good food for thought when I was a teen, to know that it was possible to learn things and then act on them right away. Also, Lily's unquenchable cheeriness just makes me happy. Dash's unquenchable snark makes me laugh out loud. There are probably more, but these are the ones floating on the top of my head. Do you have books you wish you'd read at a younger age? What are you reading this week? In case you've wandered by here in the last 17 days and wondered why on earth the cobwebs were spreading and everything had a thick layer of dust on it, wonder no more: I've been watching all the Olympics. Seriously. I had a livestream of something on at the office every day, and while I don't actively watch while I'm at work (except in the case of tennis and soccer), I would glance at it from time to time. Coworkers would come in and ask, "What are you watching?" and I was all "Double sculls! Isn't it great?" They'd come back a couple of hours later and ask, "What's this?" and I'd say, "Field hockey!" Isn't it great?" And the next morning it was, "What are you watching now??" and I'd shout, "Synchronized swimming! Best thing ever!" And so on. I sure hope I still have a job when I get to the office today. I had a look back at my posts during the last Olympics, and I can't for the life of me figure out how I managed to get so much blogging done while watching so many sports. My best guess is that I wasn't using Twitter quite as much in 2008 as I do now, so I had more things to share with the blogosphere. So, what do I think? First of all, the Games were as amazing as ever. I have the luxury, being an American, to not mind when we get beaten in this or that sport, because medals are such a matter of course to us that it's easy to be blasé about them. (More on that anon.) Plus, since I am a sports fan all the rest of the time, too, I have a hard time turning off my fandom to a particular athlete, even if he or she isn't from the US. 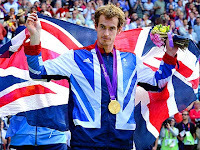 So, I tend to cheer for whoever I want to and leave the "USA! USA!" to other people. I watch for the pure enjoyment of sport about 60% of the time, and for a specific athlete all the rest of the time. So... Games are over. I'm so very sad. I'll have to find something to do with this sudden free time. Fortunately, there's the small matter of Camp NaNoWriMo. Did you watch the Olympics? Do you have a favourite moment?